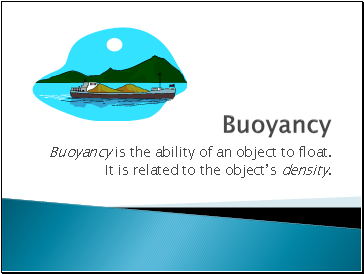 Buoyancy is the ability of an object to float. 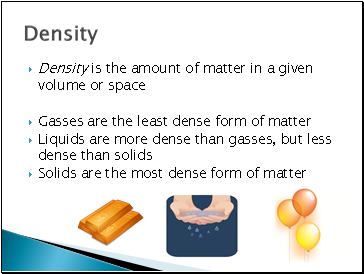 It is related to the object’s density. 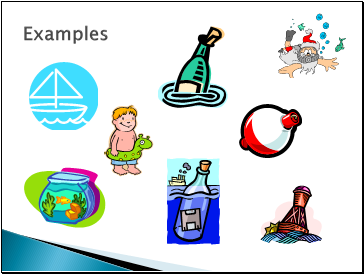 Gasses fill any volume and take the shape of their container. 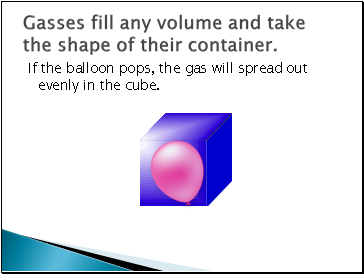 If the balloon pops, the gas will spread out evenly in the cube. Liquids stick together, but take the shape of their container. The water will take the shape of the cube. Solids are very dense and do not take the shape of their container. The rock will keep its own shape. 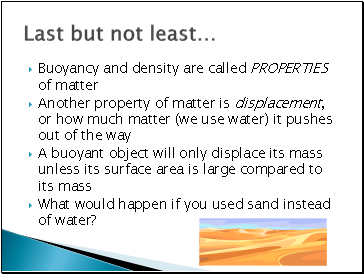 What would happen if you used sand instead of water?